High Desert High hews closer to perceived reality than many metaphysical journeys, giving it broad appeal. 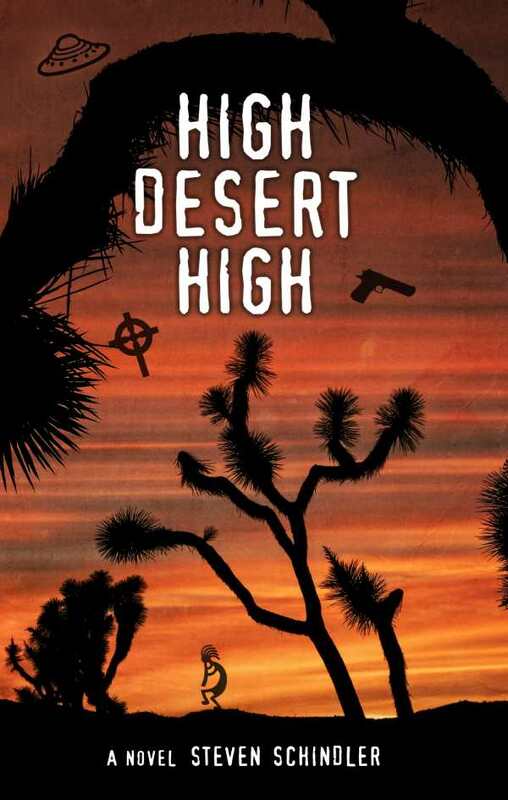 In Steven Schindler’s thoughtful and sometimes trippy High Desert High, Paul Santo, retired New York City police lieutenant, sets out on a journey of discovery and healing as he accompanies his once-estranged daughter to California. First pages provide a technicolor background for Santo, a dyed-in-the-wool New Yorker who is part Italian, part Irish, and part Puerto Rican—an Afro-wearing longtime narcotics officer who medicates for stress with Guinness and vodka. He also has an ex-wife, Marcy, who is deep into drug and alcohol addiction, and who lives upstate. After a confrontation with yuppies, he decides he’s fed up with bureaucratic red tape and the “I’m gonna sue!” public, and he retires. Then he learns that Marcy has committed suicide. The tragedy reconnects him with his daughter, Tracy, with whom he has a tenuous relationship, and the two begin a cross-country road trip to Palm Springs, California. As Tracy settles in there with a friend, Santo travels on to the fabled town of Joshua Tree, and decides to rent Room 8 in the Joshua Tree Inn. It’s the room where mythical rock musician Gram Parsons died, an impulsive choice that sets Santo on a journey of spiritual discovery. The narrative is more a chronicle of an internal pilgrimage than anything else, with much of the story given over to an almost meditative state. Santo is seeking to change his life, but his life experiences change him instead. There’s an early reference to Kerouac’s seminal On the Road, but Santo’s evolution is more of a letting go than a seeking. In part through the text’s tendency to show rather than tell, the narrative ably demonstrates that post-traumatic stress doesn’t plague only military combat veterans. Santo is thoroughly characterized, less heroic than realistic. Tracy’s characterization unfolds artfully, as she grows outward from her initial presentation as a closed-off young woman still coming to terms with her sexuality. Kate, Santo’s romantic interest, is more passive and complacent. Minor characters are also solidly drawn and layered. Descriptions are excellent, with vivid images following from just a few words, as when a realtor is captured as someone who looks like Buddy Holly, had Holly reached his age. Realistic, dreamy descriptions capture the vigor of big city life, all noise and odor, hustle and clamor. The pace is steady, dynamically allowing for the exploration of space and time, as well as heady topics like the illusion of reality, and UFOs and their interactions with humans. Many such meditations step outside of perceived reality, especially with a plot line focused on the “Interogratron,” a building-sized device meant to receive communication from alien civilizations.